There is much talk about the transformation of the shipping industry, and the seismic challenges that it is experiencing. 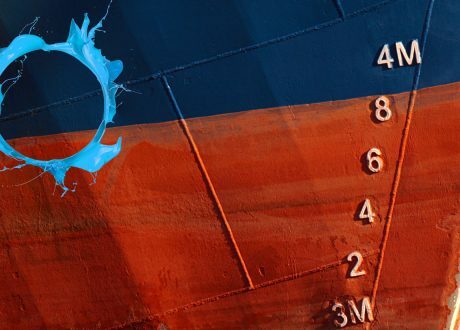 From tight freight rates, stringent current and impending environmental regulations, to the drive for improved and widespread sustainability and increased competition; ship owners, managers and operators have it tough. They are facing unprecedented change and are under pressure from all angles to maximise the operational and cost efficiencies of every vessel within their fleets in order to optimise the value of their assets. SMM, with its plethora of innovations, is a trade show where many of the solutions to ease the pressure of these challenges are showcased. The 2018 edition is particularly significant. For the next time we are all gathered in Hamburg in 2020, the global sulphur cap regulation will have been enforced for six months. If the majority of opinion formers are right, the cost of shipping will rise exponentially; by at least $24 billion per year according to consultants Wood Mackenzie. Now is the time to look at every available opportunity to cut costs and operational expenditure, reduce downtime, improve operational and environmental efficiencies, increase competitive advantage, and drive more profitability. Crucially, every area of vessel operation must be scrutinised to achieve this and eliminate inefficiencies, ranging from sub optimal systems on ships to lengthy waiting times in ports. We are fortunate that the developments in technology and connectivity, and the digital transformation of the shipping industry is facilitating progressive change. Looking around this year’s SMM halls and exhibition stands there are even more examples of the positive development of commercially viable technologies and digital solutions; advanced weather routing software, clean technologies to drive fuel efficiency, state-of-the-art monitoring systems, more advanced ship-to-shore communications, and – of course – e-procurement platforms. What has become clear though is that these solutions cannot operate in isolation; one individual company cannot solve the entire vessel optimisation challenge on its own. 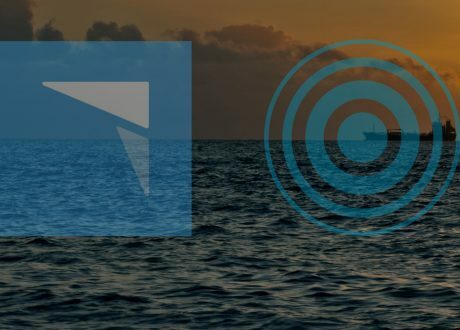 In fact, there is a requirement for collaboration from multiple parties with different skill sets and the creation of an ecosystem that connects the entire marine supply chain. We have started to see the development of this concept in the industry. For example, Wärtsilä has committed to a strategy to create what they call a ‘smart marine ecosystem’ of intelligent vessels, monitored remotely, with a hybrid power solution, navigating with smart weather routing software, combined with automated manoeuvring at sea. And at port, real time visibility of ship arrival and departure times, as well as automated docking are helping to make waiting times a thing of the past. To create a total ecosystem that truly optimises assets, every aspect of a vessel’s operation must be considered. And it is my view that the sourcing and procurement of supplies is a critical element in the overall vessel optimisation challenge. It is also an area where significant strides can be made in tandem with the ongoing digitalisation of shipping. For the last 18 years we have been evolving the ShipServ e-procurement platform, using the latest technologies and cloud-based systems to make it an efficient, reliable and data-rich, insight-driven solution; one that works for ship owners and managers, as well as the myriad of suppliers that serve the industry. The platform now serves over 200 buyer organisations representing 9,000 vessels and six yards, and 70,000 suppliers, with annual trade running at $3.5 billion. In 2018 we have also seen record breaking trading volumes; in January over 100,000 purchase orders (POs) were traded on the platform in a single month, with the total value of orders in the same month also reaching a record $298 million. One could argue that this is a sign of the improving economic environment, but also a signal that more companies are realising the power of e-procurement, and the commercial advantages that can be achieved. For marine buyers, it’s about benefitting from increased productivity of 30% from procurement time savings, reducing OPEX by optimising and lowering procurement spend, as well as using actionable intelligence to maximise the performance of suppliers and create better and more dynamic relationships. For suppliers to the industry, they have access to a virtual marketplace of active buyers, where they can build and profile their brand, increase efficiencies and the speed of processing multiple transactions, responding to RFQs, as well as driving customer retention and winning more business through faster turnaround times. However, while progress has undoubtedly been made, more can be done to drive adoption in line with the creation of a holistic marine ecosystem. Within the field of purchasing and supply, there is a real requirement for more transparency and collaboration where there is focus on the end-to-end optimisation of the total cost of supply and the process behind it, not just looking at the cost of a single product. For example, by creating even more connectivity between procurement departments, logistics companies, and port authorities, as well as other key stakeholders, a more efficient and cost-effective procurement and supply process can be created. In line with this, there needs to be a switch from the traditional transactional approach to procurement, to a strategic model that identifies where value can be delivered beyond the basic price of the product. It is a cultural shift that will inevitably happen as we have seen in many other land-based industries. A critical element in delivering this, which will help to provide the ‘eureka’ moment, is data, and the realisation of the commercial power that it can provide. As one would expect, with the advancements of digitalisation, there has been a vast increase in the amount of data that is now being generated. However, within shipping there is a challenge with the structure and complexity of the data and the ability to harness and make sense of it. 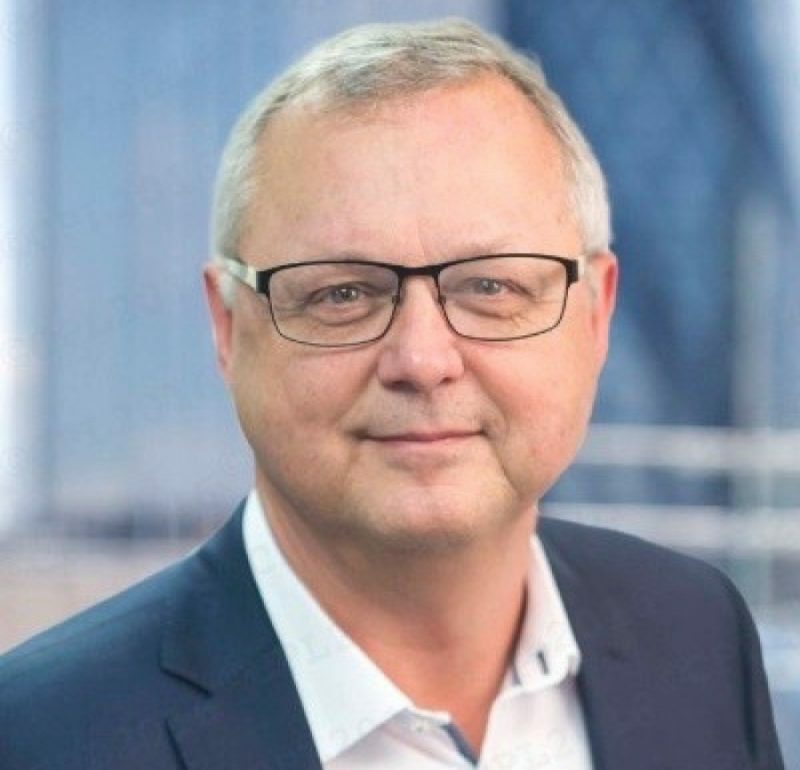 This is stifling progression for many maritime buyers to optimise efficiencies and spend when it comes to procurement, despite the desire to do so. This position was supported by recent research conducted by ShipServ, surveying over 100 maritime buyers into best practice and future opportunities of data optimisation within marine procurement. The research showed that 78% of respondents would like to increase their spend under contract, but were prevented from doing so due to unclean and complex data. 69% of respondents stated that they would like to consolidate their spend with fewer suppliers, but in the majority of cases (60%) were unable to report savings across all spend areas because of reporting tools that didn’t do the required job. 72% of respondents stated that they struggled to monitor their procurement spend, which extended to the categories, brands, product types and suppliers that they were using. 72% also emphasised the lack of transparency, in that they were unable to quickly identify where they were delivering orders, what equipment they had bought, or what brands and products each vessel or office had purchased. The reality is that this is a by-product of an industry that has always been very much fragmented with no common standard. And this isn’t just applicable to the ship owners, operators and managers, but also suppliers who have suffered from a lack of support for cloud hosted catalogue solutions that buyers can subscribe to and use industry standards for identifying units such as IMPA codes. Software houses also need to further enhance their systems to embrace subscription to catalogues and additional fields for industry standards. All this though can be overcome, and – from a procurement perspective – we have been very active in developing sophisticated data analytics solutions that can actually make sense of, and unlock the true value from this vast amount of data; actionable intelligence that enables procurement decision makers to deliver against their strategy of consolidating and optimising their supplier base, moving more spend under contract, as well as embracing category management in order to take a more strategic approach to how procurement resources and processes are organised, concentrating on specific areas of spend. Buyers will have the ability to identify purchasing patterns and trends, as well as how suppliers are performing against contracts in terms of efficiency, the quality of products and services, and agreed pricing structures. These can then be benchmarked against industry standards to determine true value for the cost. To highlight the potential benefits, ShipServ’s research shows that data organised by spend analytics tools are the catalyst for ‘elite performance’ in procurement, where savings of between 5% and 20% can be achieved by organisations that use these platforms, driving enhanced supplier performance, consolidated spend and increasing competitive advantage. By creating transparency and visibility of where, and on what buyers are spending, significant OPEX savings can be made, and supply chain performance can be enhanced. And this is what we must all work towards. As we move ever closer to the 2020 landmark, it is this level of detail in creating solutions to reduce operational spend and drive efficiencies at every level of a vessel’s operation that must be scrutinised and seized upon. 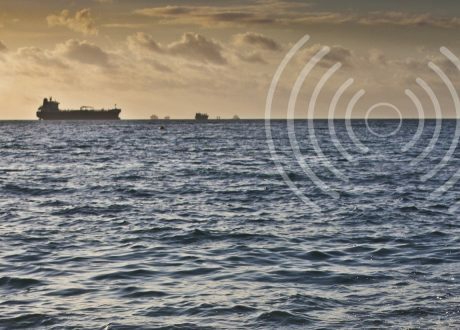 Creating an ecosystem that fully optimises the vessel within a hyper-connected, digitalised industry is central to the future sustainability of shipping and how the true value of the asset can be maximised. E-procurement, and the supply-to-vessel value chain plays a critical role in delivering this and must not be overlooked. Those that understand this, and act now will seize the inevitable opportunities that a transforming industry always brings.